Since 1987, Dock Masters, has been Lake Wylie’s Premier Waterfront Contractor for Lake Wylie boat docks and lifts. 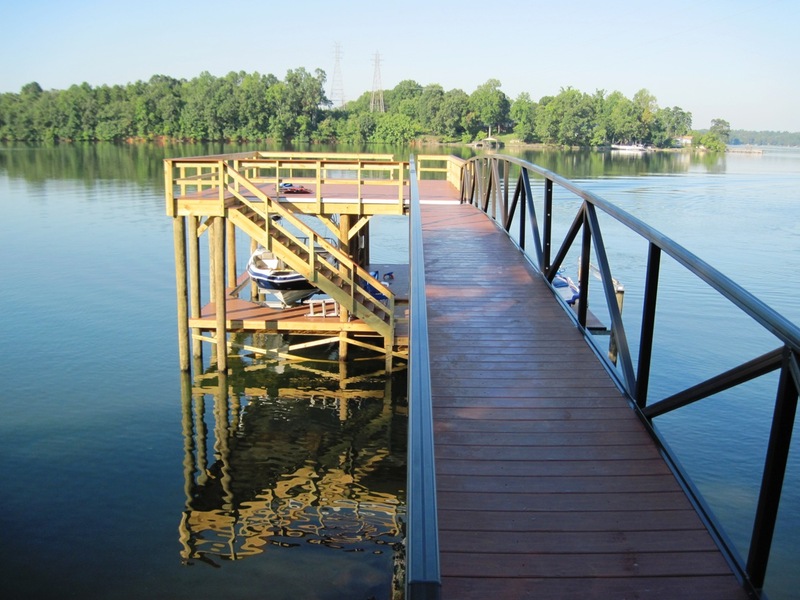 As a full-service contractor, Dock Masters is the most recognized dock builder on Lake Wylie due to our outstanding reputation of custom design, quality workmanship, and exceptional total customer experience. 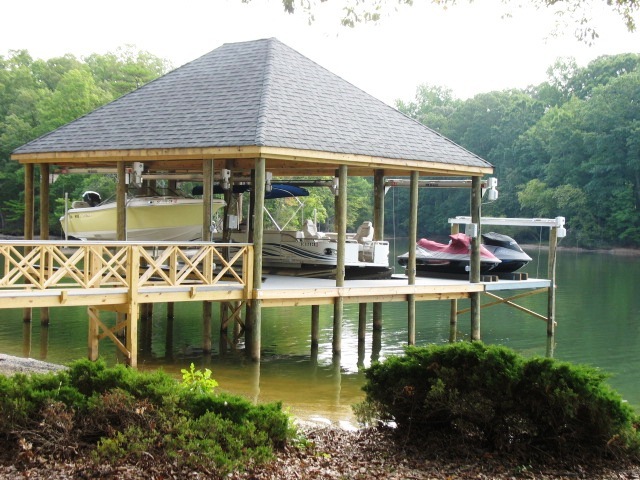 With the most experienced crews on Lake Wylie, we carefully plan and design each boat dock or lift with your lifestyle in mind. 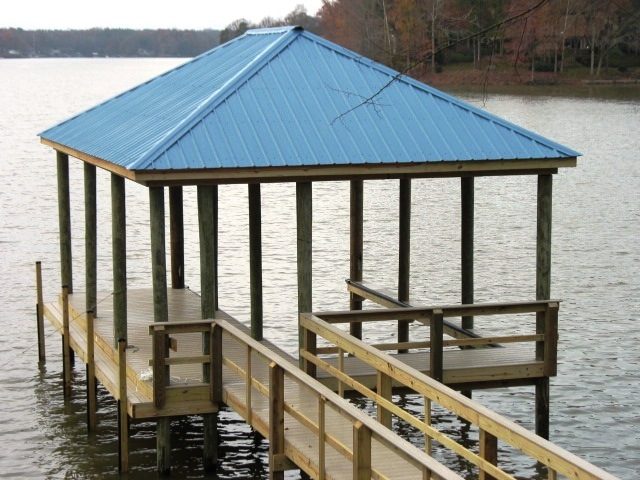 Get the most out of your waterfront property with a quality-built dock or pier from Dock Masters. Let us help you make your vision a reality. Our design consultants will meet with you to discuss the many options available. We’ll provide you with the necessary information to make an informed decision. 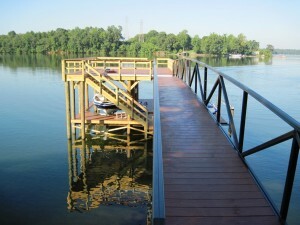 Docks – Wooden docks, aluminum docks, floating docks, fixed docks, commercial docks, custom docks. Decking Materials – Pressure treated wood, composite wood, Wolf® PVC Outdoor Decking Materials, hardwoods. Boat Lift – Hi-Tide® boat lifts, Floatair® boat lifts. 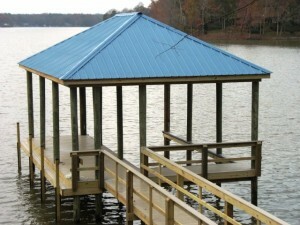 Dock Accessories – Touchless Boat Cover, dock boxes, ladders, bumpers, borders, cleats. Dock Masters works with local zoning authorities to obtain the proper permits for local, state and federal agencies. The Shoreline Management Plan for Lake Wylie and Homeowner covenants are also considered. We analyze the water depth and the surrounding terrain before we start construction. Dock Masters Showroom is conveniently located at 5850 Charlotte Highway, just north of Five Points in Lake Wylie, SC. You can enjoy a quality built private boat dock or pier on your lakefront property that adds years of enjoyment and added value to your home. Dock Masters is Licensed, Bonded and Insured.